If you’re considering buying or selling a home in 2017, it’s advisable to know what to expect as you dive into the market. 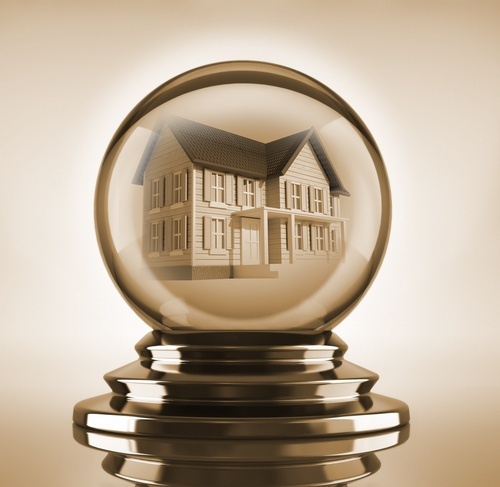 Here’s a look at what some experts are predicting for the coming year. 2016 saw record-low mortgage rates, but they started to climb after the election. Many experts predict that rates will continue to climb by up to half a percent over the course of 2017. If you’re looking to buy, now is the best time to pull the trigger to lock in the lowest rates you’ll see for awhile. Home prices grew an estimated 4.9 percent in 2016, but that growth will likely slow in the coming year. Realtor.com predicts that home prices will slow in 2017, with gains of 3.9 percent year-over-year. They expect cities like Akron, Ohio; Greensboro-High Point, North Carolina; and Baltimore-Columbia-Towson, Maryland, to see some of the biggest gains. Realtor.com also expects more millennials to buy their first homes in 2017. Midwestern cities will likely benefit the most from this uptick. Homes in the largest midwestern cities will attract these younger buyers due to their affordability. Some of the cities expected to get a boost from millennials include Des Moines, Iowa; Omaha, Nebraska; Minneapolis, Minnesota; Columbus, Ohio; and Madison, Wisconsin. 2017 will continue to be a seller’s market, with inventory predicted to drop even further than 2016 levels. The construction of single-family homes hasn’t fully recovered since the recession, contributing to dwindling inventory in many of the country’s largest markets. Zillow anticipates that the cost of a new home could rise in 2017 due to higher labor costs. The country could see a shortage of construction labor due to tighter immigration policies under a Trump administration, which could force builders to raise wages for construction workers. These costs would likely be passed on to consumers in the price of the home. Mixed-use developments have become more popular in recent years, but they’ll soon be displaced by the “surban” community. These are developments that blend the best of both urban and suburban lifestyles. The idea is that these communities allow their residents to walk to work and enjoy easy access to amenities like shopping and entertainment. They are designed to be inclusive and affordable and have strong public schools. While overall the country will see gains, western states are predicted to see the biggest increases in prices and sales. Home prices in western cities will likely increase to 5.8 percent, while homes sales are expected to increase 4.7 percent. For those buyers who want to trade-up into a larger home, 2017 may be your golden opportunity. Prices for smaller homes have outpaced their larger counterparts, and more inventory is available on the higher end of the housing spectrum. When selling, choose the best offer over a speedy sale. That extra cash will stretch further on your new home.